This is my first time having a beer from this brewery. My first impression is that it smells like pineapple. Specifically like the smell that a room has after there has been a cut up pineapple sitting out on a dish for a few hours. (I recently called a pine apple “pineりんご”, which is apparently a funny thing to do . . . ) I just keep smelling this thing. That smell is unmistakable. The flavor is strange. While there was no head on this beer, it is very bubbly on the tongue. Super light mouthfeel. Kinda a bit of a funky flavor, dry in way that champagne can be dry, strong back of the tongue aftertaste. Pineapple all over all of that. The aftertaste is bitter, but does not taste like hops. The pineapple is a strong enough impression that this reminds me of a homebrew cider more than anything else. It definitely has enough Japanese beer characteristics that it is more beer like than cider like though. There is a bit of a homebrewish taste to this beer (what I called funky flavor above). Flavors from the yeast I assume. This is a bottle conditioned beer, and I poured all that yeasty goodness into my glass. This type of flavor is really common in homebrews, but rare for a production beer. At the first sip I found it unpleasant, but now that I am halfway through the glass, I am rather enjoying the homey nature of this beer. This is a really interesting beer. I like interesting beers. I don’t yet know if I like it or not. I am definitely going to buy this a few more times to figure out what I think. This might be a really good beer . . . I just am not sure yet. If you ever see it, buy one and taste it for yourself. I can’t necessarily recommend it as a really good beer, but I certainly recommend it as a beer worth trying. As long as you like pineapple. Now to look this up . . .
蔵のかほり can be translated as “cellar flavor”. After a bit of research, it turns out this beer is brewed using a sake yeast. That completely explains my “funky flavor”; now that I know what it is, I can identify the flavor as being the same as in some of the better sakes that i have had, particularly the active unfiltered ones. 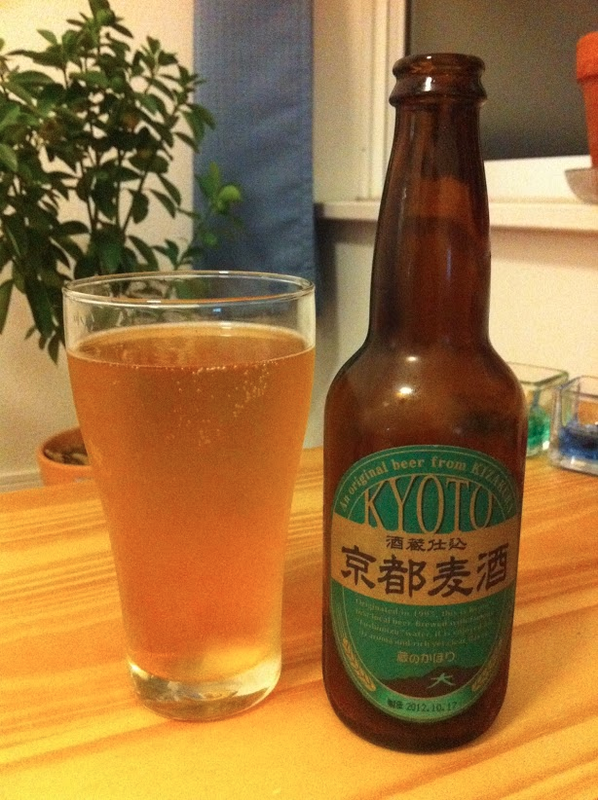 This is also apparently the first beer brewed in Kyoto in 1995. The brewery is advertized primarily as a sake brewery. It looks like their first plant was built in 1965, and a second plant was built in a nearby city in 1974. They sell a huge range of “adult beverages” including lots of sakes, sojus, beers and mixed alcoholic stuff. 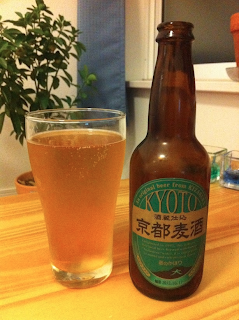 Now that I know this was brewed with a sake yeast, I highly recommend giving it a try. I have never had anything like this before, and it is overall an enjoyable experience. I’m going to have have to try this a few more times before I can decide whether it is a really good beer or not, but I think I will enjoy that process. My last thought: pineりんご (rinngo, means apple).